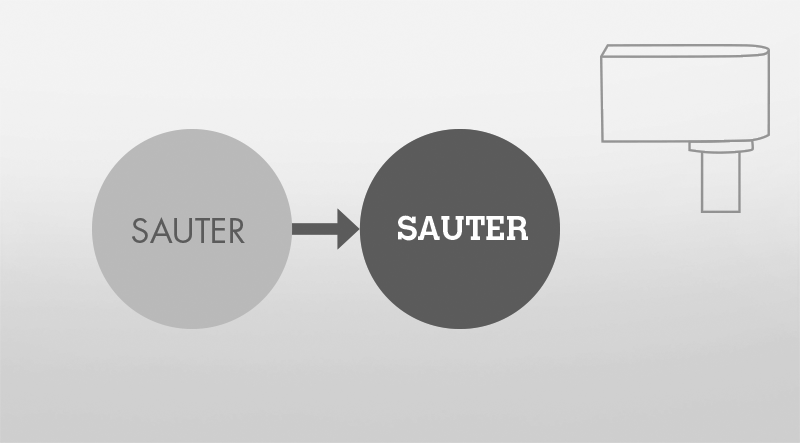 The retrofit actuators from SAUTER can be fitted onto the valves of various manufacturers by means of an adaptor set. Do you know the manufacturer, the valve type and the nominal diameter (DN)? This table tells you which SAUTER actuators can be fitted onto this valve using which adaptor set. You have a SAUTER valve type V6F DN25 (columns 1 – 3) and want to operate it using a SAUTER AVM234SF132 actuator.